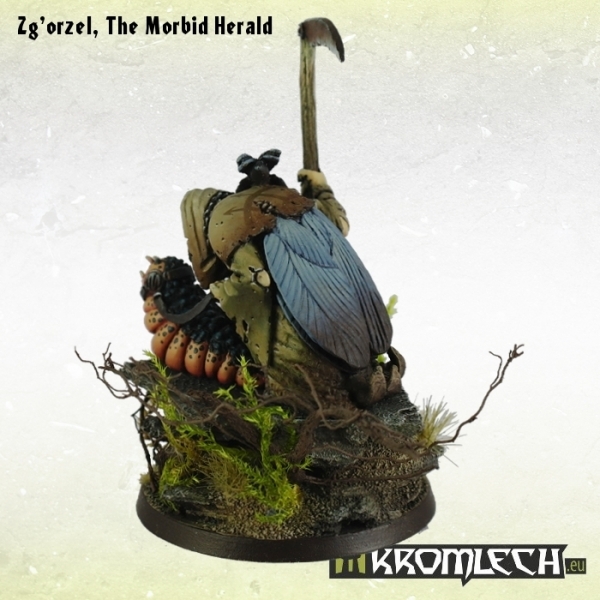 This set contains one resin Zg'orzel, The Morbid Herald model. 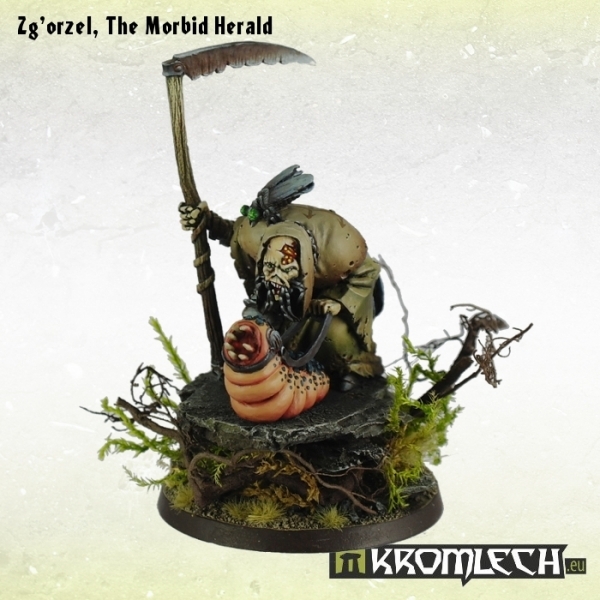 It's five part miniature (body, right arm with scythe, herald head, worm head and worm body) that comes together with 40mm round plain base. 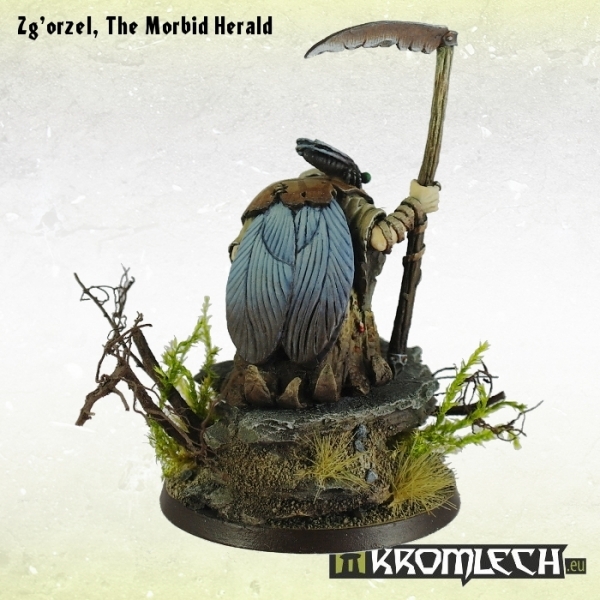 Zg'orzel, The Morbid Herald is specifically sculpted for 28mm heroic scale tabletop wargames. You can use it as demonic herald or chaos champion. 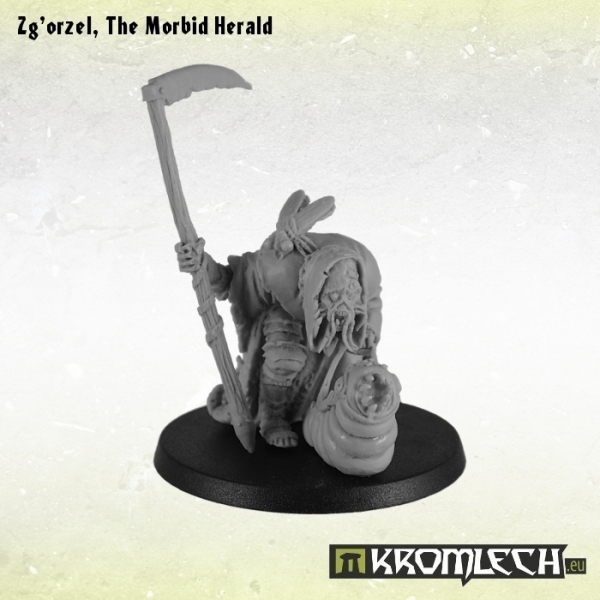 Sculpted by Filin. Painted by Artur.